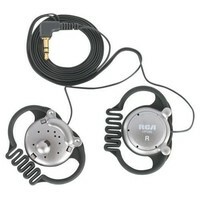 From design to utility these RCA Headphones will enhance your active, on-the-go lifestyle! The flexible rubber grip ensures a secure fit while the lightweight design provides extreme comfort. Slim, stylish design make these headphones perfect to toss in your gym bag!